As an interior designer I am always on the lookout for products designed with environmental consideration in mind. What better place to find such products than to visit the “ecobuild” exhibition held annually at the Excel, London. This year again the event was buzzing with manufacturers showcasing their sustainable designs of new and innovative products and technologies, for the construction industry, lighting design, interior design and garden design. Two products caught my attention this year as I wandered around the exhibition. Beautiful hand made decorative lighting designed by Sarah Turner. Sarah hand makes these decorative lights from every day waste plastic drinking bottles collected locally. You would not be able to tell where they originate from once the lighting had been created. They looked magnificent. After cleaning the bottles she sand blasts them to give the opaque look. They are then hand cut and sculpted in to decorative forms. Sarah uses her talent to help recycle just a few plastic bottles and thus contribute towards resolving problems of landfill site. Timco wood is a wood plastic composite product made from 100% recycled wood chip and high-density plastics. This eco-friendly product is used for decking, cladding, fencing and balustrade system. It has the warm feel of wood with durability and water resistance of polyethylene plastic. As such the product is easy to install and it doesn’t splinter, rot or warp. It is also low maintenance and will look good for years to come. The availability of the range of colours, materials and textures allows you to create many stunning contemporary as well as conventional looks. 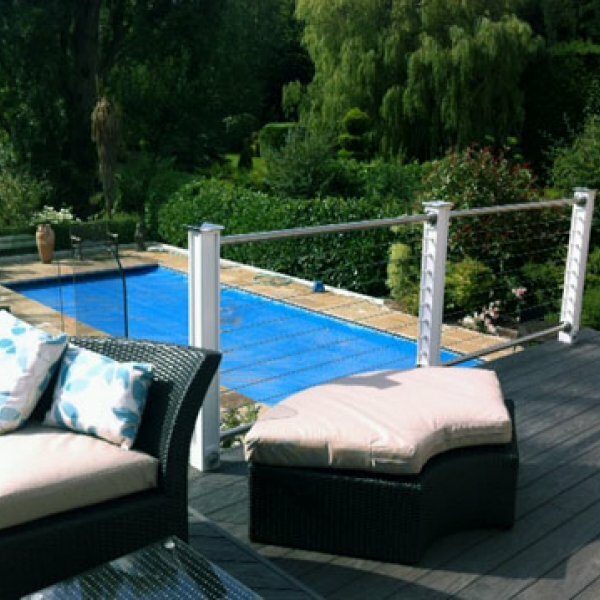 The product is readily used in commercial environment but I would specify this product for busy, budget and time discerning families who prefer to spend their time enjoying the garden and family rather than worry about the maintenance and the condition of the decking, time and cost.